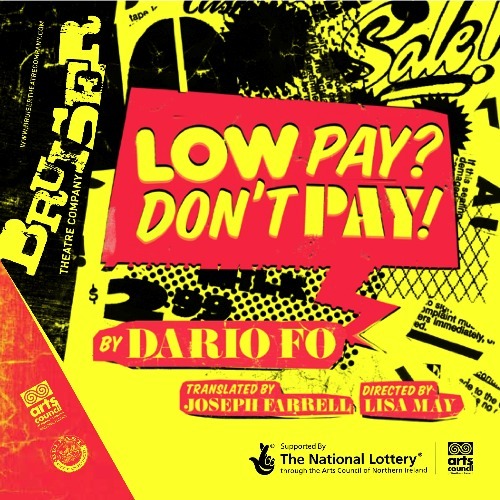 Here’s something to whet your appetite for the opening of Bruiser’s ‘Low Pay? Don’t Pay’ next week – some production and rehearsal shots. I’m sure you’ll agree that they look fantastic and that the audience will be in for a treat! It all kicks off in the Belfast Waterfront on 24 September, and you can buy tickets from their website. If you can’t make it to the Waterfront, check out the rest of the tour dates on Bruiser’s website. You can also read an article with Bruiser’s Artistic Director, Lisa May, talking about the production, the rehearsals and all the preparation on Culture Northern Ireland.